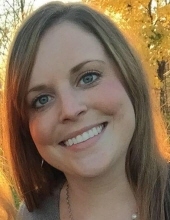 Jessica Ann Trabert, age 31, of Erie, passed away unexpectedly from a brief illness on Sunday, January 20, 2019. She was born in Erie on January 19, 1988, the daughter of Beverly Ore Trabert and David M. Trabert. Jessica was a 2006 graduate of Harbor Creek High School and a 2010 graduate of Edinboro University in Early Childhood Education. She had a strong work ethic and loved teaching “her kids” as a preschool teacher at the Mercyhurst Child Learning Center. She was an avid Taylor Swift and Dallas Cowboys fan, and enjoyed reading, camping, participating in the Tidioute Raft Race, and going to country concerts. Jessica especially loved her family and her nephews, Ryland and Nash, who were the light of her life. In addition to her parents, she is survived by one brother, Tony Trabert; one sister, Katelyn Furry (Billy); her boyfriend, Timothy Shea, and his mother, Patty Shea; her grandfather, Walter Ore; two nephews, Ryland and Nash; and aunts, uncles, cousins, and many friends. She was preceded in death by an infant brother, Joseph; grandmother, Esther Ore; and grandfather, Max Trabert. Friends may call at the Dusckas-Taylor Funeral Home & Cremation Services, Inc., 5151 Buffalo Road (at Hannon Rd. in Harborcreek Twp.) on Thursday from 3 pm until the time of the Funeral Service there at 7 pm. Private interment will be held. Memorial contributions may be made to Emmaus Ministries Soup Kitchen, 345 East 9th Street, Erie, PA 16503. To send flowers or a remembrance gift to the family of Jessica Ann Trabert, please visit our Tribute Store. "Email Address" would like to share the life celebration of Jessica Ann Trabert. Click on the "link" to go to share a favorite memory or leave a condolence message for the family.